It’s not easy keeping track of the unfolding Murdoch scandal(s), with developments multiple times a day on both sides of the Atlantic. LONDON — With a political firestorm cascading over the British government’s ties to his media empire, Rupert Murdoch faced rare public scrutiny about his relationships with elected officials on Wednesday, and sought to deflect suggestions that he tried to use his links to powerful public figures to further corporate commercial interests.. . .
LONDON—With a fresh political scandal swirling around his global media conglomerate here, News Corp. NWSA +0.62% Chairman and Chief Executive Rupert Murdoch faced questioning Wednesday before a public press-ethics inquiry about whether he used the company to call in political favors and push his commercial interests. 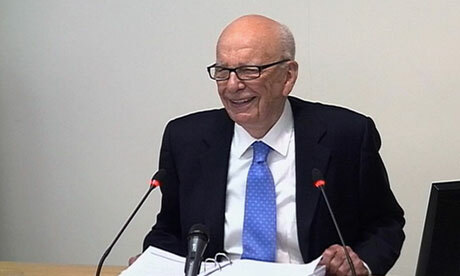 The media mogul repeatedly said he hadn’t asked prime ministers, and would-be prime ministers, for favors, and said that his commercial interests didn’t influence where his newspapers stood on issues or political parties. 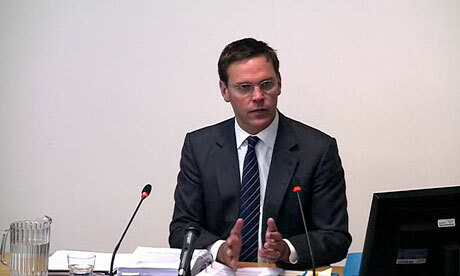 Rupert Murdoch, News Corp. chairman and chief executive, appeared before the Leveson Inquiry, a judge-led examination into British media practices. 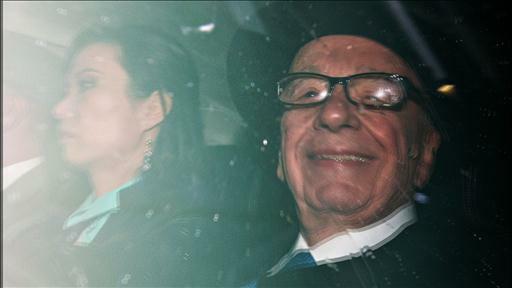 WSJ’s Bruce Orwall discusses this and the fallout from James Murdoch’s testimony yesterday.